Krosstech provides you with a wide array of hanger rack systems for efficient storage of small parts. From mobile panel racks to mobile tool boards and hanger rack with bins, we have hanger rack systems that will fit your needs. 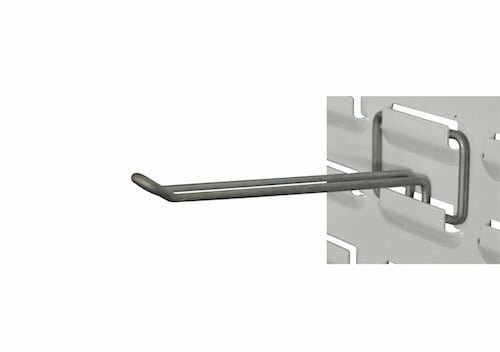 Krosstech also offers various hanger rack accessories from galvanised round hooks to screw-driver holders. The Double Sided Mobile Louvre Panel Rack provides mobile storage for small parts and can easily be moved or positioned at the preferred point of use. If you’re looking for an ideal space for your small tools then the Double Sided Mobile Tool Board will be your best option. It has a full square hole panel on both sides that provides sufficient storage space. 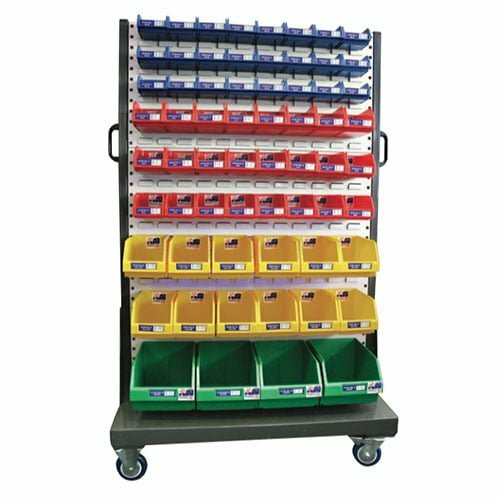 The Mobile 1600 Series Hanger Rack and Surgi Bin Hanger Rack are two complete storage solutions. Alternatively, you can customise your storage solution by purchasing the Hanger Rack and bins separately.